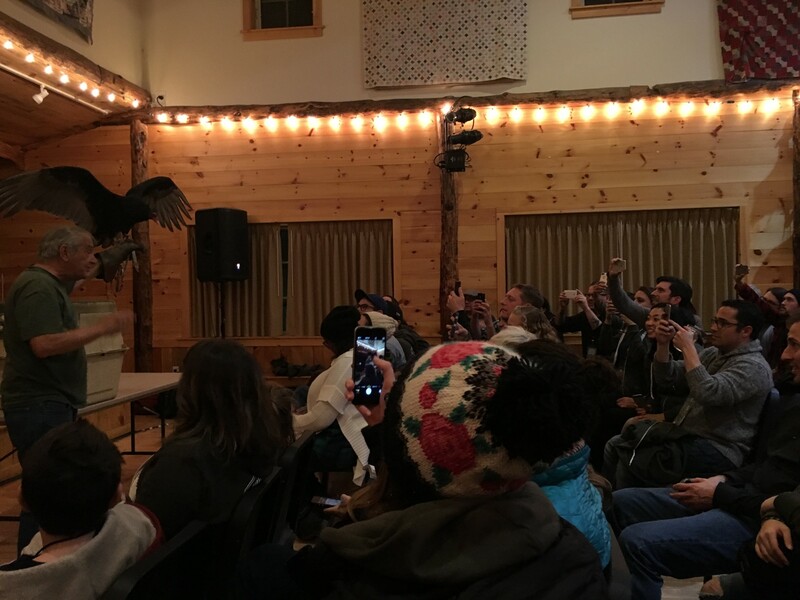 At the end of October I spent the weekend at the Ashokan Center, about 30 minutes from my house in Kingston, running a conference for the first time. To say it was a fun time would be the understatement of the year. It’s taken more than a few weeks to process it all. Some time last spring, I had lunch with my new friend in Kingston, Kale Kaposhilin. We talked about a lot of different ideas and projects and quickly realized that we both had this strong feeling that things we’re happening here in Kingston and the Hudson Valley at large. The question was: How do we take this excitement and momentum and build on it? How do we amplify it beyond our area? We both had come to a similar conclusion: let’s run a tech conference. We knew immediately that Catskills Conf [Note: Kale wanted to call it CatskillZ] couldn’t be like other tech conferences – we would not only have talks and showcase awesome people and their stories, but we would have to try to integrate the unique combination of themes that we feel the Hudson Valley is about. For us this meant: Art, Music, Food, Nature, and Community. Kale immediately zeroed in on the Ashokan Center as the venue and plans quickly started to form around it. We roped in the other organizers of the Hudson Valley Tech Meetup – Dan Stone and Dan and Sabrina Schutzsmith – and we were off. I leaned heavily on some friends who had run conferences that I was inspired by, specifically Paul Campell and Mikeal Rogers. They had a ton of infinitely useful advice and a lot of warnings about how crazy running a conference is (especially the first year). Newsflash: They were right! We aimed to create a program that was packed to the brim with inspiration and fun. I was convinced that if we collected as many brilliant and diverse people that we could into a wooded area and fed and entertained them, it would be an amazing time. With a very sparsely detailed website and word of mouth we were able to get more than 100 people to participate in the weekend – a majority of them staying on-site the entire time. We had 15 talks that awed and inspired, with topics ranging from startups, to teaching and community, to the areas where art and technology meet. 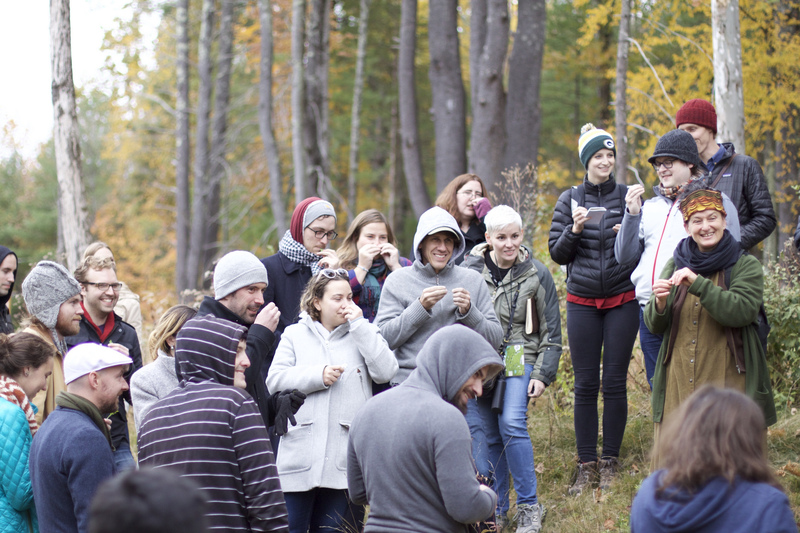 We had everyone engaged in the Saturday activities, including Foraging, a Wearables workshop, Cider-Making, Blacksmithing, Ukulele, Book Binding, and Flying Drones! We had endless flowing drinks from ImmuneSchein, Keegan Ales, and Awestruck Ciders. We had a live hog butchery demo from Fleisher’s. We had live music from Mike & Ruthy, Monogold, and Adrien Reju. We had Jonathan Mann write us a song for each day. We had bonfires. We had square-dancing. We had Canadians camping in the rain. We had a mother-f’ing Birds of Prey show. Most of all, I think we all had fun. I went into the weekend, worried that I was going to be so overwhelmed with the organizing and running around that I wouldn’t be able to enjoy myself. 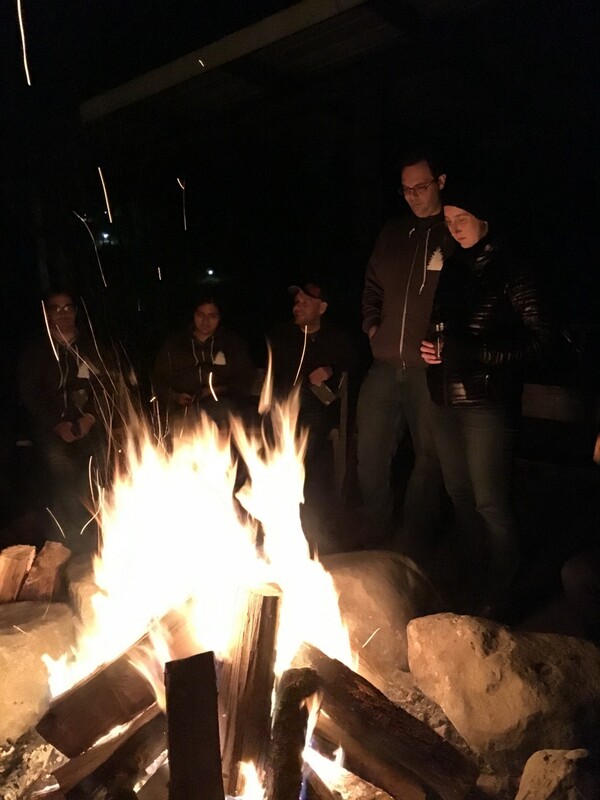 While I did do a lot of running around (My health tracker counted 12 miles for the weekend) I was still able to catch up with a ton of the attendees and speakers, spend some time listening to the great music, and hanging by the fire. Based on advice and the way things were going in the weeks leading up to the event, I approached the weekend with the feeling that this was going to have to be a good first draft of a conference. We didn’t sell quite as many tickets as we wanted. Even though we had a couple awesome sponsors (Thank you Etsy, Ulster County Economic Development, AT&T, and Tentrr!) it was really difficult to convince companies and organizations to bet on this very weird and unknown event. The week of the conf was an insane race to the finish line, getting all the details, people, and swag in place. Registration was a total mess. A huge group of attendees arrived at once on a bus from NYC and we were not fully prepared to handle them and get them all to their rooms. We had some great volunteers, but we did not have a lot of time to train and set them on tasks. The rooms were mostly shared bunk style, and one thing we didn’t really think about was what that meant for different sleeping styles. The unfortunate biggest piece of negative feedback from our post-conference survey was that people snored. Loudly! This made a lot of people sleepless throughout the weekend. Another big point of negative feedback was that we packed the schedule too tight. Having only 48 hours and our boundless excitement, we invited everyone that we admired and that would take us seriously to participate, and that turned into a pretty non-stop weekend of activities. Finally, we really set out to make this as inclusive an event as we possibly could. We set up Diversity and Student scholarships and looked to raise money to bring people to the event. We wanted to give as many people as possible a chance to attend. We had 27 people apply for the scholarships and every one would have been an awesome addition to the weekend. Unfortunately, despite a lot of talks with a lot of companies and individuals, no one stepped up to sponsor. This was a bummer, but we felt that we had made some promises, so instead of just closing up shop, we took money out of our budget for 11 scholarships. The worst part about this was the last minute nature of telling some of the applicants that we didn’t have the funds. In terms of speakers, I was happy that we were able to feature a gender-diverse group of talented folk, but I know we’ll be able to do better next year. And that’s the point, really – there will be a next year. The week after the event we got together as organizers and started the discussion of how we can make next year even better. We don’t have perfect solutions for all the problems, but we do think that we can approach each with gusto. 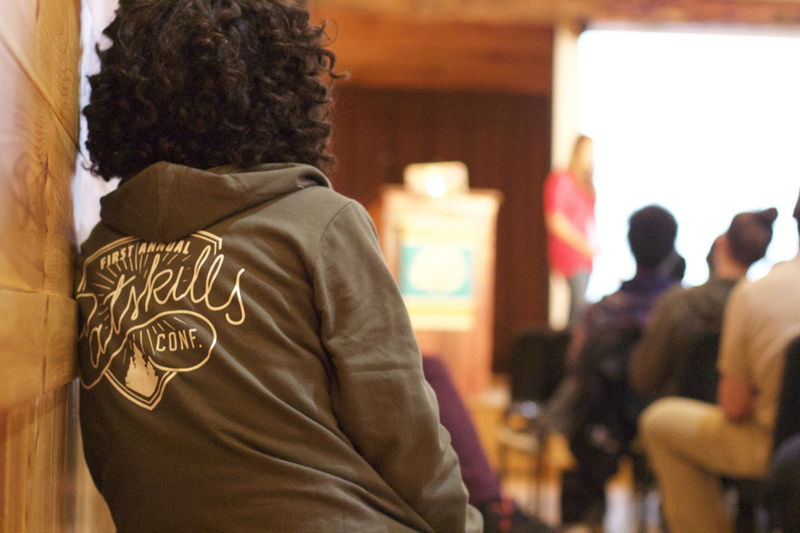 Working on Catskills Conf was one of the best things I’ve done in a long time. I’m proud that we were able to create a unique experience that felt familial and unpretentious from the get go. Over 3 days, we all became just a bunch of friends, having fun in the woods. Catskills Conf 2016 will be held at the Ashokan Center Oct 21-23, 2016. If you’re interested in being a part of next years event, sign up for our mailing list or email us at hello at catskillsconf dot com. If you want to read some more perspectives on Catskills Conf: Amanda Kivet, Martin Babinec, Mike Zamansky, Watershed Post. And definitely check out Daniel Fitzgerald’s blog post and photography project “More Space”.